Brien A. Roche practices law in the areas of personal injury, wrongful death, medical malpractice, products liability, motor vehicle accidents, as well as a broad range of civil litigation. He has been an attorney since 1976. Mr. Roche is admitted to practice in Virginia, the District of Columbia, and Maryland. Before working for plaintiffs in injury cases, Mr. Roche spent ten years representing insurance companies as a defendant’s attorney. His experience allows him a unique insight into defense strategies and the inner workings of the insurance industry. 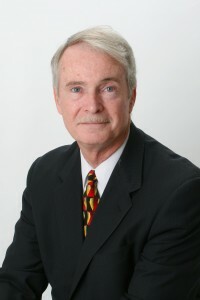 He earned his Juris Doctor in 1976 from George Washington University National Law Center. Mr. Roche also holds a Bachelor of Arts degree from Georgetown. From 1970-1971, Mr. Roche served as a member of the U. S. Marine Corps Reserve. From 1971 to 1975 he was a uniformed patrol officer with the Washington, D. C. Police Department (MPDC). His wife and seven children live in Northern Virginia. The only peer rating system for attorneys that is maintained is one published by Martindale Hubbell Publishing. The rating system rates attorneys from “A” to “C” with “A” being the highest rating. Mr. Roche has been “A” rated since 1986.